The railroad in the Owens Valley was more than just a stretch of the imagination. It was a vision inspired by tales of rich strikes in the mines of California, when a lull in mining activity was settling on the Comstock and in Virginia City, Nevada. “Let us have a railroad from Carson City to Colorado,” wrote a journalist in a Nevada newspaper in 1871. Several surveys were made by the Virginia & Truckee (V&T) Railway Company by the late 1870s to run a line south from Carson City. By 1880 a line was laid as far as Bodie and on May 10, 1880 the Carson & Colorado (C&C) Railroad Company was incorporated. Much speculation was made about an intended final destination in southern California, but nothing was made official until March 25, 1882 when the company announced it would build over Montgomery Pass, into the Owens Valley and toward Mojave. The announcement said that the railroad had great potential for mining and agriculture, the latter in an effort to include the local farming industry. But it was the news from the mining claims in the Inyo Mountains at Panamint and Cerro Gordo that fueled the excitement. Plus, the nearby Darwin Mines were producing well and the Owens Lake was a rich source of soda and potash. Fortune would favor the brave – it seemed. In 1882 construction began on a narrow gauge track that would take the line south from Bellville, Nevada to the state line at Montgomery Pass, which at 7,138 feet was higher than the Central Pacific’s crossing of the Sierra at Donner Summit. From there the line would descend into the Owens Valley and in January 1883 Benton was reached. The Slim Princess, as this railway was known, continued her journey down into Hammil Valley and a gradual descent took her into the Owens Valley. 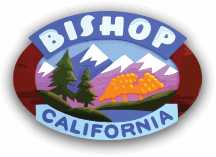 In mid-March the line reached Laws (named for Robert C. Laws, the C&C’s Superintendent) where a station was built and a small town sprang up to serve the nearby mining supply and farming community of Bishop Creek (now Bishop). Construction continued rapidly at a pace of three quarters of a mile of track per day ending in Lone Pine, where onward journey to Independence for a July 4th celebration in 1883 was made by wagon. The final 70 miles of track connecting Laws with Hawley (now Keeler) on the shores of the Owens Lake was completed just a week later. The entire 143 miles of railway line between Bellville, NV and Hawley, CA did not pass though a single established town along the way. While there is no official explanation for this route selection, historians have speculated that the decision to run this line on the eastern side of the valley may have been based on financial considerations. Although the western side of the valley was populated and thriving for the time it presented certain geographical and terrain problems. Numerous streams and creeks flowed from the nearby Sierra Nevada cutting deep arroyos at fairly regular intervals. Extensive and costly bridging would be required to run the line down the western side of the valley and would, moreover, put the track at risk of flooding. Lone Pine had suffered a major earthquake in 1872 killing 27 people and destroying 52 of the 59 houses. The quake produced a massive fault scarp cracking and thrusting the ground upward by 15-20 feet northwest of the town and also formed what is now Diaz Lake south of the town. This too would have proved an impediment to building the railway line down the western side of the valley. Naturally residents of the Owens Valley at the time were not happy with the C&C’s decision to build clear across on the other side of the valley. It was a long trip from any of the towns just to get to the railroad, but until 1931 when the full length of US Highway 395 was paved the Slim Princess was a major means of transportation. On completion of the track in July 1883 an Inauguration Special was run along the full length of the line. On board this special were Henry Yerington, President & General Manager of the C&C, and Darius Ogden Mills, principal financier of this new narrow gauge and major owner of the then profitable V&T. In 1942 the narrow gauge was abandoned from Benton to Laws and in 1960 the rest of the track from Laws to Keeler was also abandoned. Today, less than 150 years since that candid remark by Mills, the memories and experiences of a not-so-long-ago era of railway magnates, miners, farmers, fortune seekers, high Sierra adventurers, and travelers who rode the Slim Princess can be enjoyed at the Laws Railroad Museum & Historic Site. 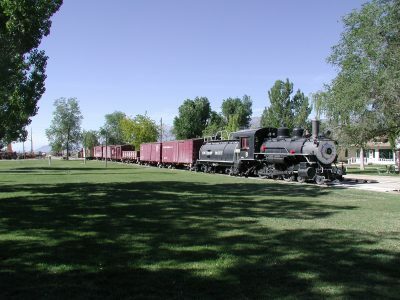 By today’s standards it’s a short, easy drive of just 6.5 miles to Laws from Bishop where this extensive museum site with a section of track and working railroad cars is a glimpse back in time to when a railroad station was the heart of a bustling western town. This is not just another theme park – it’s the real deal. 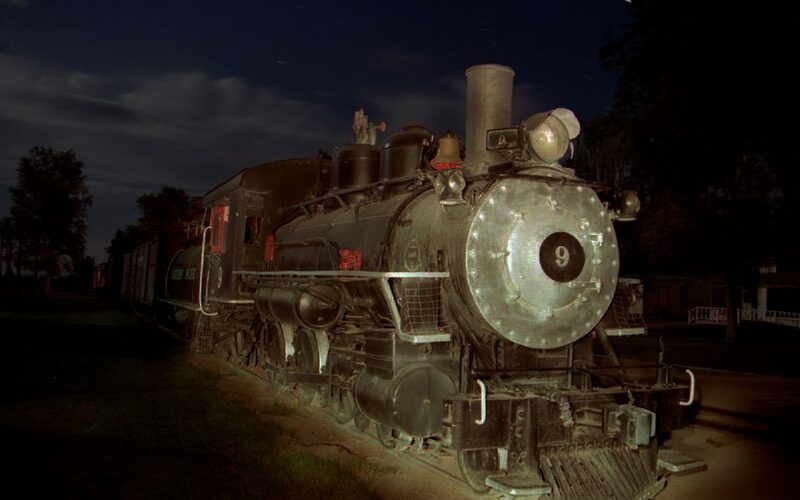 Many original buildings, train engines and cars, salvaged and restored structures, and thousands of artifacts celebrate the rich history of this railroad. The museum is open daily from 10am to 4pm year round. This summer train rides on the old Death Valley Brill Car No. 5 will thrill both kids and adults. See the summer train ride schedule here. The Laws Good Old Days, Saturday, September 10th, is a family fun day of music, Pioneer crafts and the ‘famous pie auction’. 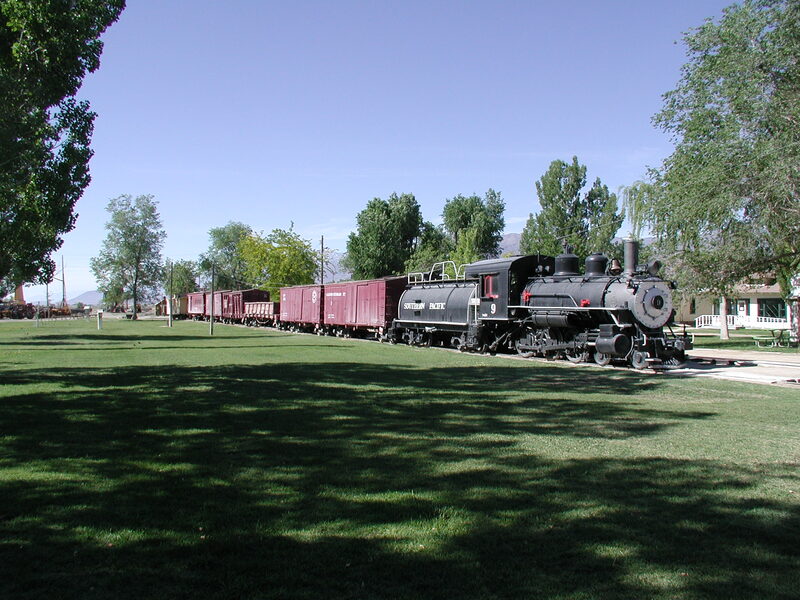 Wander through the museum buildings, ride the train, watch skilled artisans make their crafts the old-fashioned way, or just sit on the cool grass under the spreading cottonwood trees and listen to the live music performances. 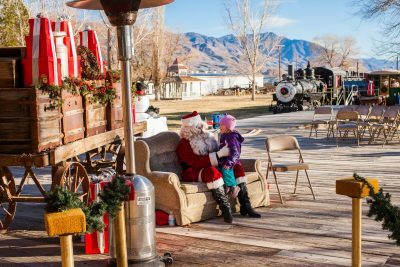 Celebrate the holiday season in early December at the “Railroad Express” with rides in DV#5 rail car, games, prizes, goodies to eat, carol singing, a visit with Santa and Mrs. Claus, story telling and so much more railway magic. 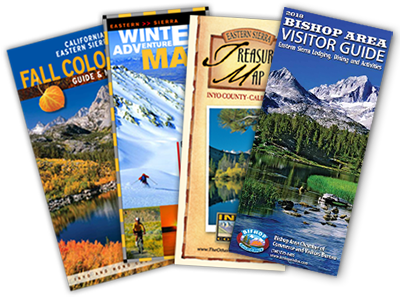 For more information about Laws Railroad Museum & Historic Site visit or pop into the Bishop Visitors Center at 690 N. Main St.